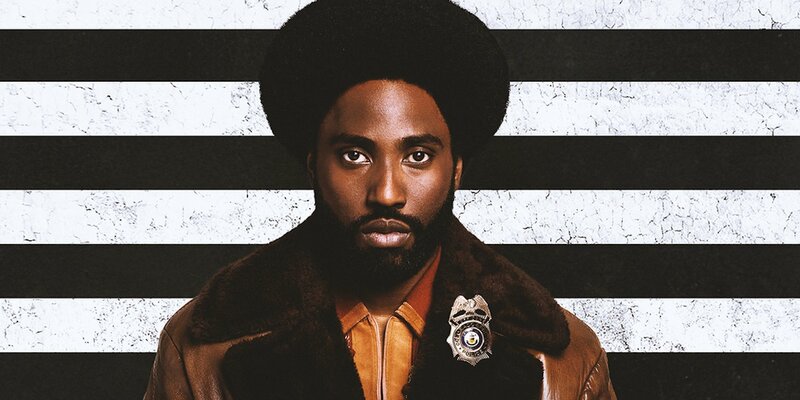 Directed by Spike Lee, BlacKkKlansman tells the re-life story of Ron Stallworth (played here by John David Washington, son of Denzel Washington). Stallworth became a police officer in Colorado Springs, CO, and initiated an undercover investigation into the Ku Klux Klan by posing a white man. 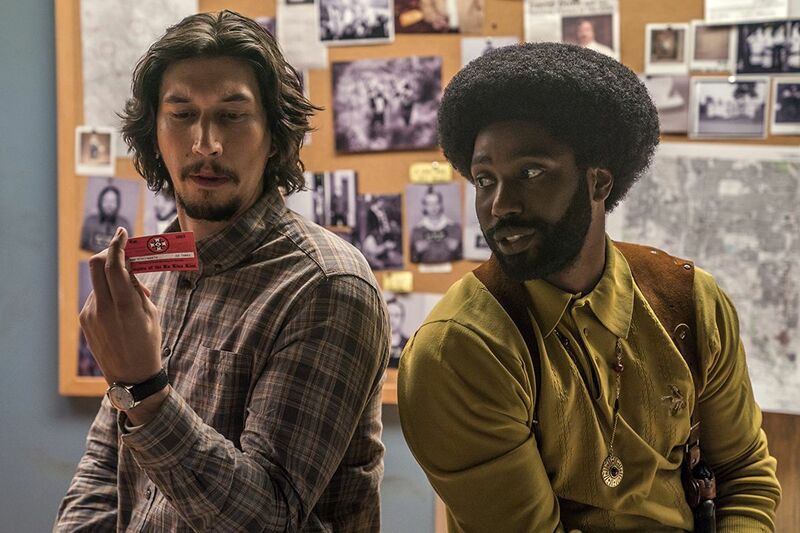 In the movie, he recruits fellow police officer Flip Zimmerman (Adam Driver) to pose as Stallworth in person while Stallworth himself continues to play the part over the phone, including a back and forth with Grand Wizard of the KKK David Duke (Topher Grace). While this investigation is going on, Stallworth also begins to see the President of the local Black Student Union, Patrice (played by Laura Herrier from Spider-Man: Homecoming). Is this really a true story? Go into the movie first and then afterwards look up some “what really happened” articles. The basis is true but many events, including the entire climax of the film (and entire characters) are made up for the movie. John David Washington, who’s only other substantial role so far is on the TV show Ballers, is great here and this is a star-making movie for sure. He’s surrounded by astounding talent, including Adam Driver who probably has the most complicated role in the movie as a man that’s never had to confront his Jewish heritage until interacting with the KKK. We also have our fair share of villains in this movie and all of them are terrifying. 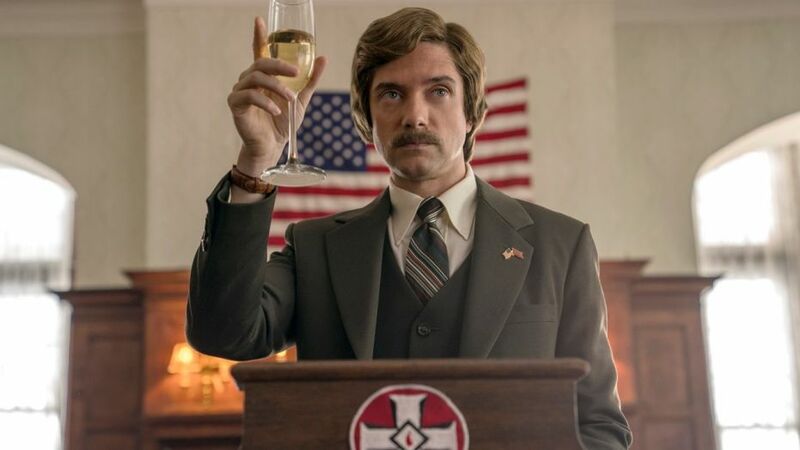 Topher Grace as David Duke is perfection, though all of the KKK characters are chillingly realistic. I appreciated Ashlie Atkinson, who plays the wife of one of our KKK characters, as she gave probably one of the most disturbing performances. While this movie is set in the 1970s, everything applies to today. There are a few lines that are a tad heavy-handed (like a discussion about a white supremacist being in the White House) but overall the message is strong here. The ending of the film is especially poignant, bringing this issue into today’s time and giving perspective. So this movie really balances being an “important” film in terms of its message and timing, but it does so with incredible performances and plenty of (dark) humor. There were only a few moments that didn’t work for me, where the film turned into a film and it pulls you right from the moment. The best example without spoiling much… There is a sequence where a crowd of college students are watching an inspiring speaker. To show just how inspired and enthralled they are, Spike Lee’s direction is to focus on floating heads shot against a black backdrop and they dissolve in and out. It’s very artsy and it stands out in a movie that is otherwise very literal. The few weird little moments aren’t enough to detract from a fantastic film. Both John David Washington and Adam Driver deliver award-worthy performances, while I wouldn’t be surprised to see a Supporting Actor nomination for Topher Grace and Supporting Actress nomination for Ashlie Atkinson. It’s a hard movie to watch but it gives you very realistic depictions of the dark underbelly of ultra-conservative America, with an ending that brings home that these incidents aren’t just history but the present as well. This entry was posted in 5 Stars, Movies and tagged adam driver, black klansman, blackkklansman, blackkklansman review, i am your target demographic, iaytd, john david washington, kkk, ku klux klan, laura herrier, movie, movie review, movies, review, ron stallworth, spike lee, topher grace. Bookmark the permalink.